Duckpin Bowling in Danbury CT! Thanks to Retro Roadpal Louis I who tagged Mod B in a photo from Danbury Duckpin Lanes, I knew we had to scout it out even if we didn't have time to bowl. 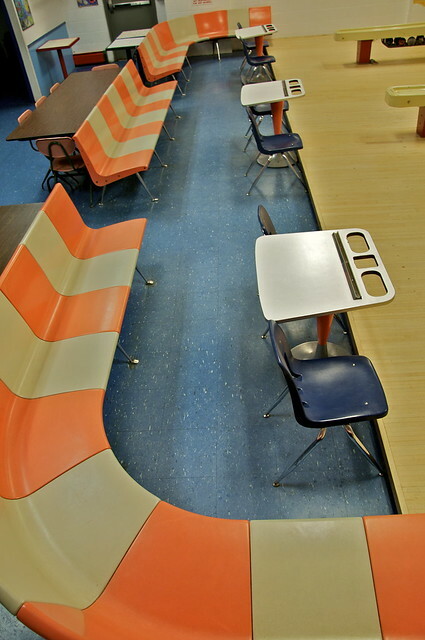 It's getting harder and harder to find bowling alleys that haven't been "all FEC'd up*" (as I snarkily say) - so when I do see a vintage bowling alley still in use, I want to give them a shout out for not caving into peer pressure! 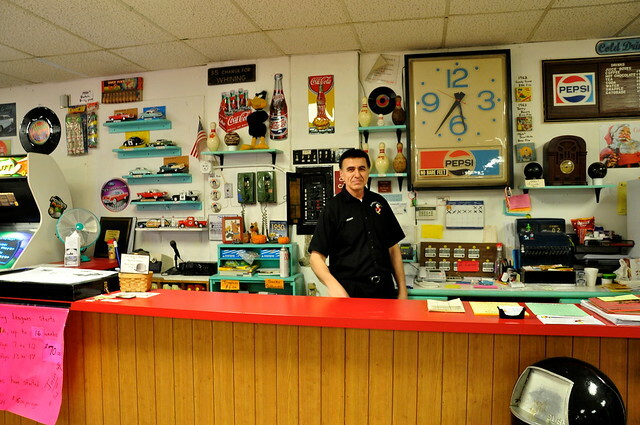 We were lucky enough to meet up with Danbury Duckpin owner Jerry Troccola as we buzzed in, who greeted us with a friendly smile and immediately started showing us around his facility. Opened in 1955 on the grounds of a previous lane that had burned down (all that's left is the giant stone chimney out front) it has been family owned and operated for over 40 years. While Jerry has added quite a bit of 1950s nostalgic kitsch to the place, there's also plenty of legitimate authentic vintage charm in this 16 lane multi-level house. 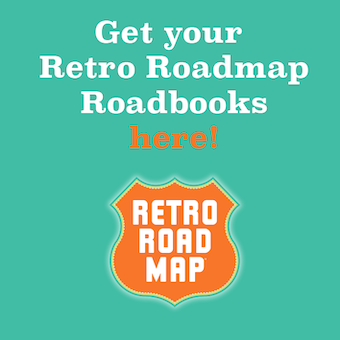 These lanes are so Retro Roadmap worthy that you even Score By Hand On Paper With A Pencil! We were there on a Sunday night where they close around 6pm, and being in the dead of winter it was already pitch black so no way we could get a photo of the exterior. 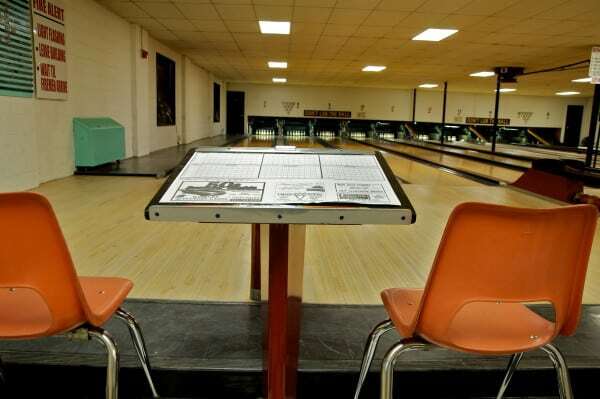 However, don't let the classic New England clapboard exterior or "Hatters" sign near the street make you think Mod Betty steered you wrong - this is the place for Duckpin Bowling in Danbury. 1. 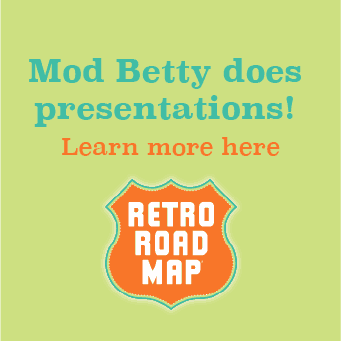 If you've gotten this far and are asking, "But Mod Betty, what IS Duckpin bowling?!" 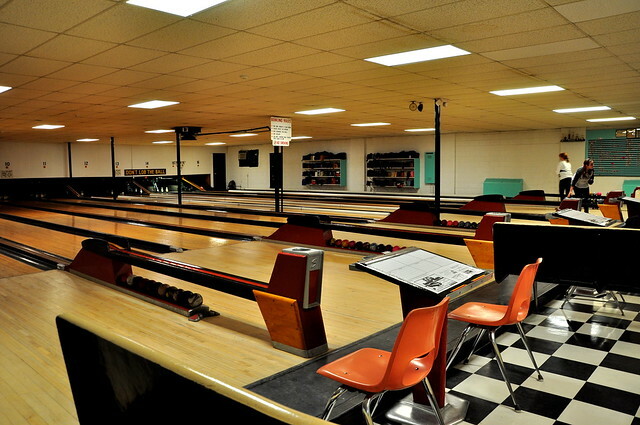 then check out our Retro Roadmap video on Duckpin Bowling right here! That aforementioned Hatters sign? While it referred to an establishment that used to be part of the bowling alley - the reason it was called HATTERS is because in the 19th century Danbury Connecticut was considered the Hat Capitol Of The World!  Read more about the history of hats in Danbury here.